We are delighted to announce that Lev Grossman will be delivering the third annual Tolkien Lecture at Pembroke College Oxford. The lecture will take place at 6.30pm on Wednesday, 13th May, at the Pichette Auditorium, Pembroke College. Admission is free, but please sign up here if you wish to attend. 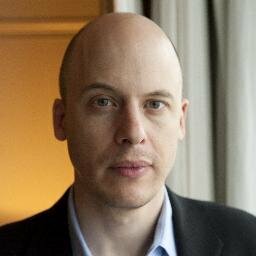 Lev Grossman is a novelist and journalist. As a novelist, he is best known for writing the critically acclaimed Magicians Trilogy, comprising The Magicians (2009), The Magician King (2011), and The Magician’s Land (2014). The series has topped New York Times best-selling lists and there are plans to make it into a television series. As a journalist, Lev has written for The New York Times, Entertainment Weekly, The Wall Street Journal, and many others. He has been the Book Critic for Time since 2002. Find out more about our speaker on his website. This entry was posted in Tolkien Lecture on March 23, 2015 by Gabriel.